Statistics is one of the most important parts of research today considering how it organizes data into measurable forms. However, some students get confused between descriptive and inferential statistics, making it hard for them to select the best option to use in their research. If you look closely, the difference between descriptive and inferential statistics is already pretty obvious in their given names. “Descriptive” describes data, while “inferential” infers or allows the researcher to arrive at a conclusion based on the collected information. For example, you are tasked to research about teenage pregnancy in a certain high school. Using both descriptive and inferential statistics, you will be researching the number of teenage pregnancy cases in the school for a specific number of years. The difference is that with descriptive statistics, you are merely summarizing the collected data and, if possible, detecting a pattern in the changes. For example, it can be said that for the past five years, the majority of teenage pregnancies in X High School happened to those enrolled in the third year. There’s no need to predict that on the sixth year, the third year students would still be the ones with a greater number of teenage pregnancies. Conclusions as well as predictions are only done in inferential statistics. The principle of describing or concluding also applies to the data or the collected information of the researcher. Referring back to our earlier example about teenage pregnancies, descriptive statistics is only restricted to the population being described. To put it simply, the data collected on X High School regarding teenage pregnancy is ONLY applicable to that particular institution. In inferential statistics, X High School could just be a sample of the target population. Let’s say you are aiming to find out the status of teenage pregnancies in New York. Since it would be impossible to collect data from each high school in New York, X High School will then act as a sample that would reflect or represent all high schools in New York City. Of course, this usually means that a margin of error is present, since one sample is not enough to represent the whole population. This rate of possible error is also taken into account when analyzing the data. Using various calculations like mean, median, and mode, researchers would be able to describe or examine data and achieve what they want through the process. Statistics, especially inferential, is largely important in today’s industry, mainly because it provides information that has the potential of helping individuals make decisions in the future. For example, launching inferential statistics on the rate of population growth in a particular city could serve as a basis for a business to decide whether or not to set up shop in that city. The fact that it also utilizes numbers to arrive at conclusions enhances the accuracy of the research as well as the understandability of the data. Statistic results are often shown through various models, from graphs to charts. To increase accuracy, researchers also take into account various factors that could affect their population and translate it into numerical data. This way, the probability of error is minimized, and a thoroughly summarized view of the case is achieved. 1.Descriptive statistics merely “describes” research and does not allow for conclusions or predictions. 2.Inferential statistics makes it possible for the researcher to arrive at a conclusion and predict changes that may occur regarding the area of concern. 3.Descriptive statistics usually operates within a specific area that contains the entire target population. 4.Inferential statistics usually takes a sample of a population, especially if the population is too large to conduct research on. Celine. 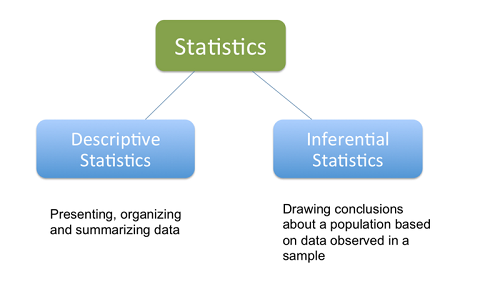 "Difference Between Descriptive and Inferential Statistics." DifferenceBetween.net. July 6, 2017 < http://www.differencebetween.net/language/words-language/difference-between-descriptive-and-inferential-statistics/ >. The information is rely helpful. I have understood the concept. Thank you. I have added more knowledge to body of knowledge with this explanation.Thank you. Have gotten knowledge.. But may I ask, is it possible to get their examples based on education for example?